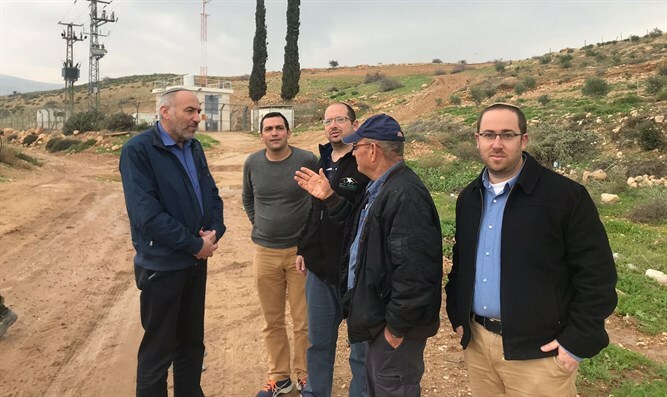 The Knesset Subcommittee for Judea and Samaria chaired by MK Moti Yogev (Jewish Home) discussed on Tuesday the state of the water economy and water theft in Judea and Samaria. During the discussion, the Civil Administration representative revealed that each year, local Arabs steal more than 6 million cubic meters of water in Judea and Samaria. "The summer's problems are acute, and in many places, such as the Jordan Valley, Kedumim, and other places, residents drank water from tankers, bags and bottles," Yogev said. "Apart from building a master plan for water, we need plans for the coming years and the coming summer, as well as the status of enforcement against water thefts." MK Yogev warned that "the theft of water in the Bardala area is drying up the Jordan Valley. The Water Authority promised a bypass route, but as far as I know, the promise isn't coming to fruition. Thus, the Jordan Valley farmers suffer twice. Once, when fifty percent of the water is stolen, and a second time, when fifty percent of the stolen water goes to agricultural terror that's taking over state land in all areas, especially in the Jordan Valley." Civil Administration Deputy Director Col. Uri Mendes informed committee members that "on the issue of enforcement - two bypass lines have already been approved. The Migdalim bypass is in the advanced planning stage, with an estimated one year until completion. We have also carried out massive enforcement activities in the area of Kusra Migdalim so that we won't have to use tankers in the coming year. 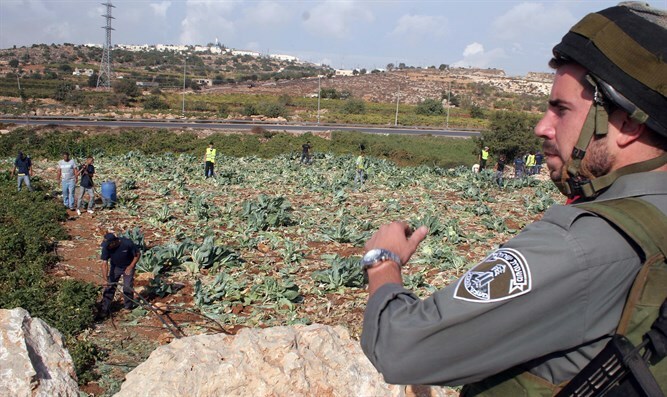 "In Bardala in the Jordan Valley, about 2 million cubic meters have been stolen, and we're carrying out enforcement, we've carried out more than 1,500 disconnections of water thefts, and inspection units have completed dozens more water theft disconnections," said the Deputy Director. "The water problem in the Jordan Valley is broad, especially for date plantations, and the water authority's plan is to provide brackish water from Beit Shean to bring another 40 million cubic meters of water to agriculture," added Mendes. A representative of the Judea Samaria District Police admitted in the hearing that "very few indictments have been filed in recent years, and on the other hand there has been an increase in incidents in recent years. Only two files were opened in Bardala, with no suspects caught." The Chairman of the Committee, Yogev, responded: "This is bankruptcy. There are no indictments, no suspects, nothing. It would never have happened had it been the opposite, if Jews had cut off water lines for Arabs. Criminals profit here, and the law-abiding people are unprotected. There is a governmental vacuum here, theft in broad daylight with no action. "It isn't surprising there aren't many complaints, because people have given up and aren't complaining," MK Yogev said. "This is a national plague of water thefts, and we need a lot more enforcement."